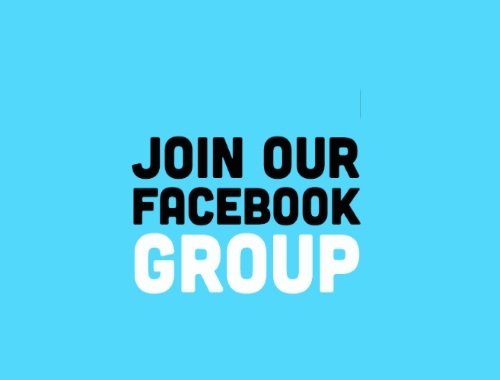 Have you joined our Facebook Group? This is separate from our Facebook Page. Our Facebook page has grown into over 45k subscribers, which is great however with changing Facebook newsfeeds, decreasing post reach and the push for publishers to use advertising the amount of people that see our posts on their newsfeed is getting fewer and fewer. Often times there are time-sensitive offers and those are crucial to see on your newsfeed right away or you miss out completely and are disappointed. I try and keep my blog up to date and post hot freebies and coupons as soon as they go live. However it's frustrating to see few of you see my posts. Please note, I know people are not online 24/7 like I often am, I am talking about the reach on people who are online at the time and still do not see the posts. Anyway, we ask that you please subscribe to our Facebook Group as we notice our posts there appear on newsfeed more often. And as long as you have notifications turned on you will get an email every time there is a new post added. I do not post everything in this group just the important offers that I need you to see. Samplesource Spring Sampler packs will be going live soon and that is one great example. I will post once they are live and if you are rely on Facebook pages to show you when they live, you might not see it. You've got a better chance if you subscribe to our Facebook group. Please feel free to add your couponing friends to add group too, it helps us out a lot. Thank you. Click here to join our Facebook Group.